IMPORTANT:Move your mouse as randomly as possible within this window. The longer you move it, the better. This significantly increases security. When done, click 'Continue'. Password and/or keyfile(s) successfully changed. 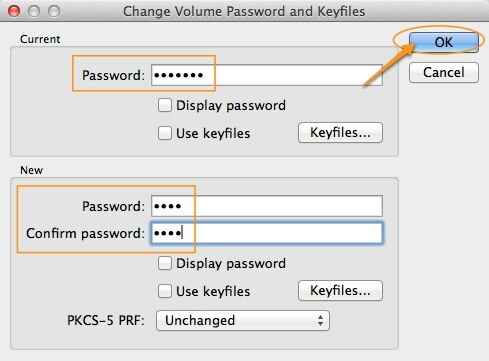 IMPORTANT: Please make sure you have read the section 'Changing Password and Keyfiles' in the chapter 'Security Requirements and Precautions' in the TrueCrypt User Guide. 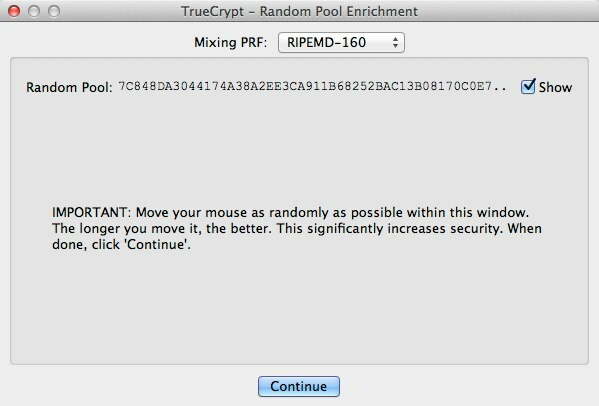 Allows changing the password of the currently selected TrueCrypt volume (no matter whether the volume is hidden or standard). Only the header key and the secondary header key (XTS mode) are changed – the master key remains unchanged. This function re-encrypts the volume header using a header encryption key derived from a new password. 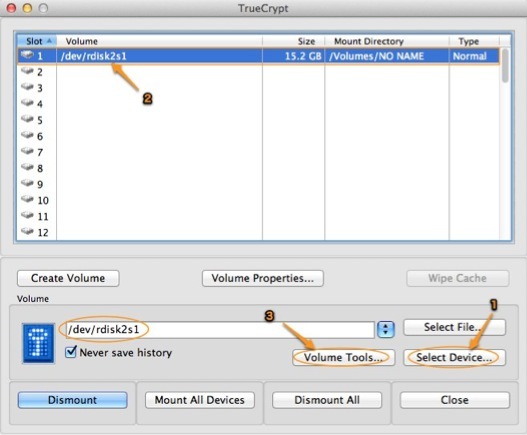 Note that the volume header contains the master encryption key with which the volume is encrypted. Therefore, the data stored on the volume will not be lost after you use this function (password change will only take a few seconds).